“It was very important to get the integration between the garden and the house right,” Maynard says. 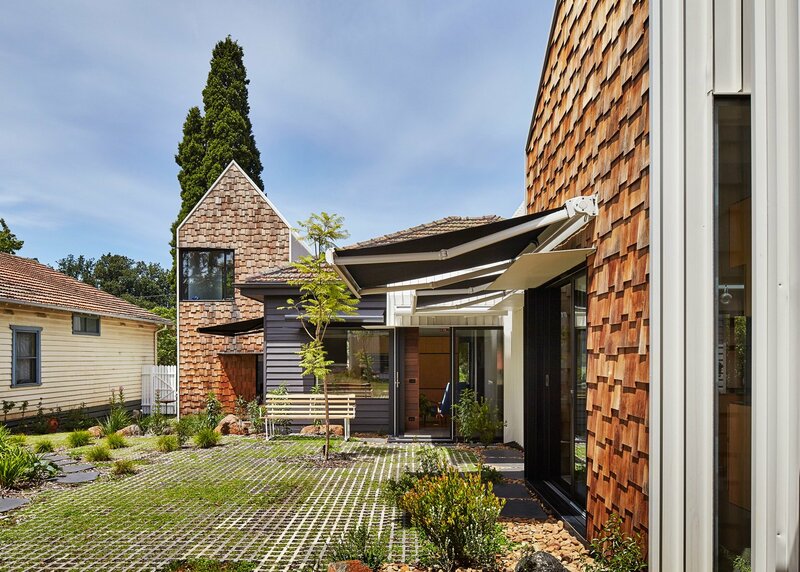 The architects worked with Bush Projects to strike that balance, laying down concrete pavers and planting native flora that add to the home’s relaxed feel. Permanent steel awnings protect windows from glare, while retractable fabric ones by Shadefactor offer residents optional shelter when they sit outside.